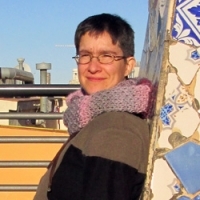 Aitana Guia is a tenure-track assistant professor in Modern European History at California State University Fullerton. In 2015-16, she was a Max Weber Fellow at the European University Institute in Florence, Italy, where she was affiliated with the Robert Schuman Centre for Advanced Studies in the thematic research group on Citizenship and Migration. She specializes in the social and political history of the migrant experience in postwar Europe, nationalism, and Islam in Europe. She received her Ph.D. in History from York University (2012) and holds an M.Sc. in Ethnicity and Nationalism from the London School of Economics (2002), an M.A. in Political Science (2001), and an LL.B. (1997) from the University of Valencia, Spain. Her doctoral dissertation, The Muslim Struggle for Civil Rights in Spain: Promoting Democracy through Migrant Engagement, 1985-2010, was published in 2014 by Sussex Academic Press. Her current research interests include tracing the origins and comparing nativist discourses in postwar Europe.